Why study Geography? Because in an ever more connected world, place still matters. How do physical and national boundaries affect power and inequality? Why is water central to global politics, culture, and economics? How does place influence who we are, how we act, and the choices we make? Geography isn’t just about knowing your way around a map. It’s about knowing your way around our changing world. In our geography courses, you’ll gain in-demand skills: critical analysis, communication, a global perspective, and an understanding of human-environment dynamics. Bring your passion and your curiosity to any of our fifty-five undergraduate courses and find out why our geography program is ranked among the top ten in the country. 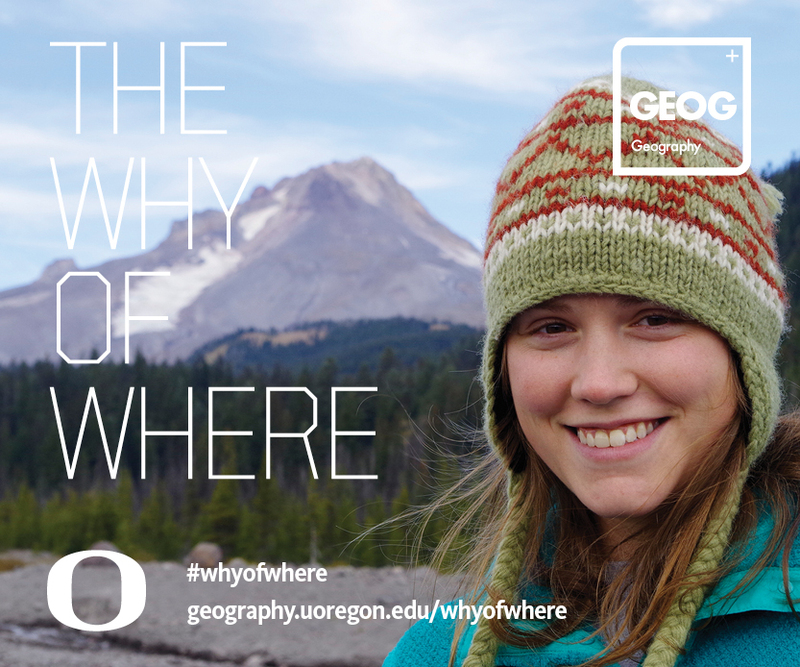 To learn more about the potential of Geography major, Geography minor or Spatial Data Science and Technology major in your future, from coursework to careers, please contact the Undergraduate Advisor, Dr. Leslie McLees at geogadvr@uoregon.edu. You can also schedule an appointment online here (fall, winter, spring terms only). Drop-in hours change each term and will be noted on this page. Otherwise, email Dr. McLees for questions or to make an appointment. Click on the right sidebar for more information about the Geography major and minor and the Spatial Data Science and Technology major!